An ideal professional saw for logging and large removals. It features our new X-Torq® engine that provides high torque over a very wide rpm range, combined with low fuel consumption and low exhaust emission levels. Ergonomically improved handles reduce fatigue. Smart Start® provides easy starting and Air Injection makes the saw run stronger and longer. Heated handles increases comfort in cold conditions. Air Injection: Centrifugal air cleaning system for reduced wear and longer operating time between filter cleanings. X-Torq®: Deliver lower fuel consumption and reduced exhaust emission levels in accordance with the world´s most stringent environmental regulations. Adjustable oil pump: Adjustable oil pump makes it easy to set the chain lubrication according to your needs. 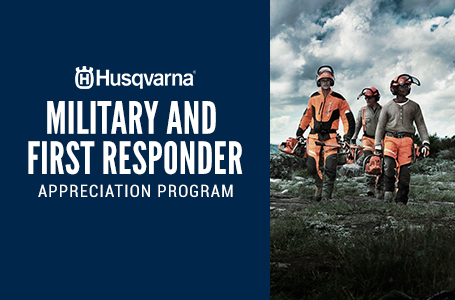 As a way to honor the service of men and women in uniform, Husqvarna created the Military Service and First Responder Appreciation Program. At Husqvarna, we support the uniformed men and women who serve our communities and country. The Military Service and First Responder Appreciation Program is designed for dealers to recognize those who serve in Canadian military or are a First Responder (police, firefighter or EMS). To qualify customer must be currently serving in, or retired from, a qualifying branch of the Armed Services and have a valid military ID Card. Be a veteran who receives benefits and have a valid Veteran Identification Card (VIC). Be currently employed as a First Responder (Police, Firefighter or EMS). Qualified dealers can provide active or non-active military personnel or actively employed first responders up to 10% off any of the Husqvarna products listed below. ** NOTE: Qualified military and first responder Program purchases also achieve or earn discounts of up to 10% on batteries and chargers and attachments of $125 and above. Visit your local Husqvarna dealer to learn more. 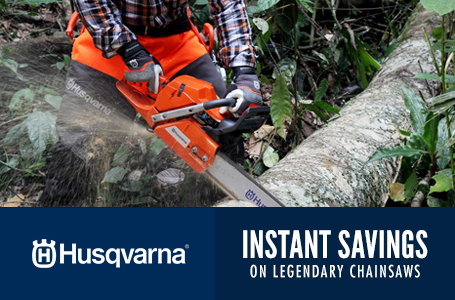 Put one of Husqvarna’s legendary chainsaws to the test and receive an instant rebate. Are you an outdoor professional? Stop by your local Husqvarna dealer during the Husqvarna Days sales event for exclusive deals on new Husqvarna chainsaws. For a limited time, purchase a qualifying Husqvarna 365 or 372 XP® chainsaw and you’ll receive a $75 instant rebate. That’s big savings on two legendary chainsaws. 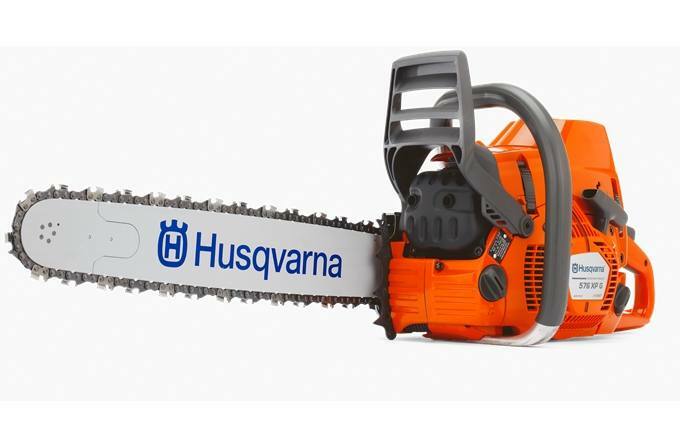 Also, if you purchase a Husqvarna 455 chainsaw, you’ll receive a $50 instant rebate. 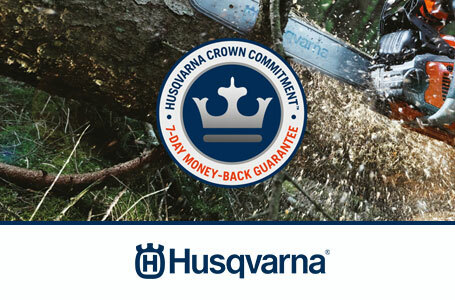 Or, if you purchase a Husqvarna 130 chainsaw or 135 chainsaw, you’ll receive a $25 instant rebate. You can count on the power and precision of Husqvarna. Visit the Husqvarna Days sales event at your local dealer today!